Tenders will soon be floated for these kiosks, adding that the traffic police would decide where these cabs could be parked around the metro station. 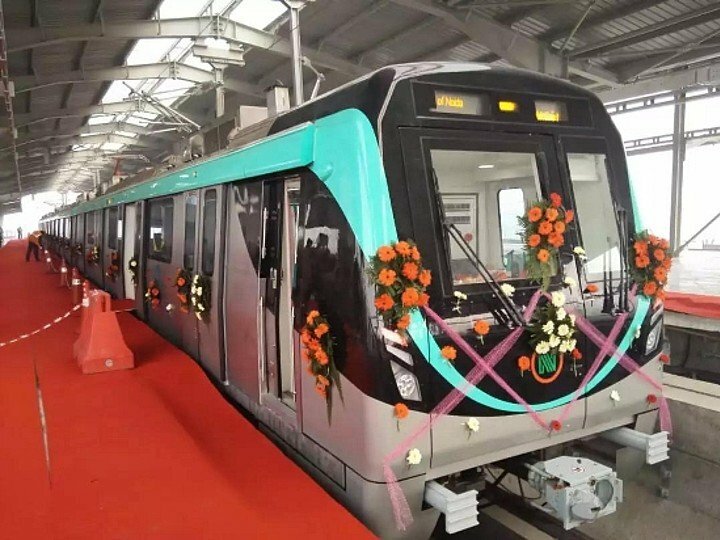 Noida, Metro Rail News: The Noida Metro Rail Corporation is planning to identify pick-up and drop points for e-rickshaws and allow prepaid booking kiosks for app-based taxis such as Ola and Uber at stations on the Aqua Line. As per officials, Tenders will soon be floated for these kiosks, adding that the traffic police would decide where these cabs could be parked around the metro station. The Aqua Line is expected to be functional by the end of this month. NMRC is of the view that if dedicated space is identified for cabs — like in airports — it will help ease congestion around metro stations. PD Upadhyay, ED at NMRC, said tenders for cab kiosks would be floated soon. “Similar to what we see in airports if there is a facilitation booth at metro stations, those who prefer a cab to feeders or e-rickshaws will welcome such a facility,” he said. Most app-based cab aggregators have special zones or kiosks at different airports across the country. Asked if the kiosks would lead to traffic jams, Upadhyay said app-based taxis were anyway expected to queue up outside metro stations, irrespective of a dedicated facility or not. “We are working on a time limit when these cabs could be allowed to stand outside a particular metro station. The matter was discussed with the traffic police in a meeting held recently,” Upadhyay said. The traffic police, however, expressed concern over the shortage of staff for handling the number of cabs outside each metro station. Officers said there was need for discussions over the volume of traffic likely at the metro stations in sectors 71, 76, 142, NSEZ, Knowledge Park II and Pari Chowk. Aqua Line will have 21 stations in total. pedestrians,” a senior traffic officer said. SP (traffic) Anil Jha said the traffic police would discuss the nitty-gritties of the project once the NMRC shared details of the plan. “Any plan for easing traffic congestion is welcome. We hope to get details from NMRC soon,” he said. Officials said a representative of each of app-based cab aggregator would be present at the kiosk for assistance. Travelers, who don’t have an app to book cabs, can also avail of the taxi service from the kiosks.